When it comes to seafood, its easy for home cooks to get stuck on the old standbys: salmon, cod, halibut. Give the usual suspects a break and branch out with opah (also called moonfish), a hearty Hawaiian fish that makes a sustainable substitute for tuna. 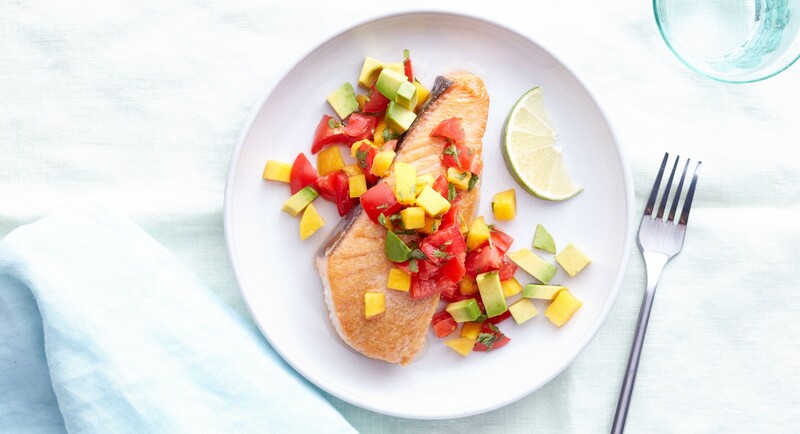 Serve it with a spicy-sweet mango salsa to balance out the richness of the fatty, rich meat. Pat opah dry and place on the prepared baking sheet. Season with salt and pepper and drizzle with olive oil. Roast 12 to 15 minutes until just cooked through. Spoon salsa over opah steaks. Drizzle everything with a bit of olive oil before serving.